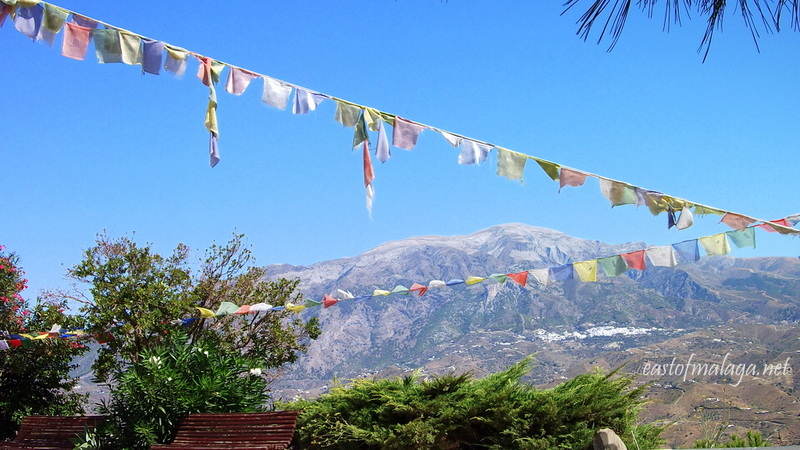 If you are visiting the eastern Costa del Sol, you might not anticipate that there is a beautiful Buddhist Stupa within easy reach of the Mediterranean coast. 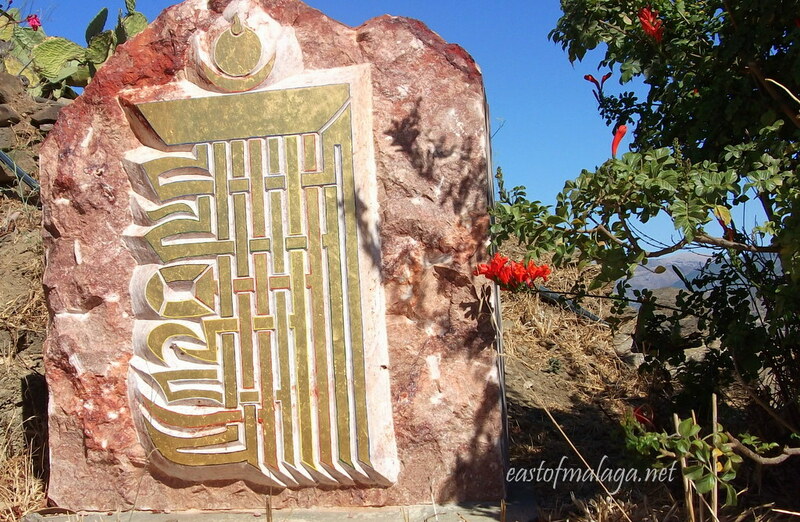 The first Buddhist Kalachakra stupa built in the western hemisphere can be visited about 40 kilometres east of Málaga, north of the town of Vélez-Málaga, near to the Karma Guen Buddhist meditation centre. 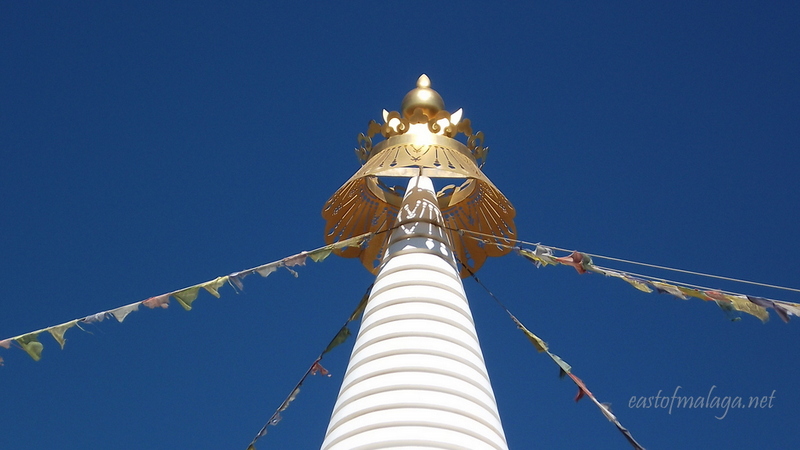 The stupa is not easily seen from the surrounding countryside, so where is it? 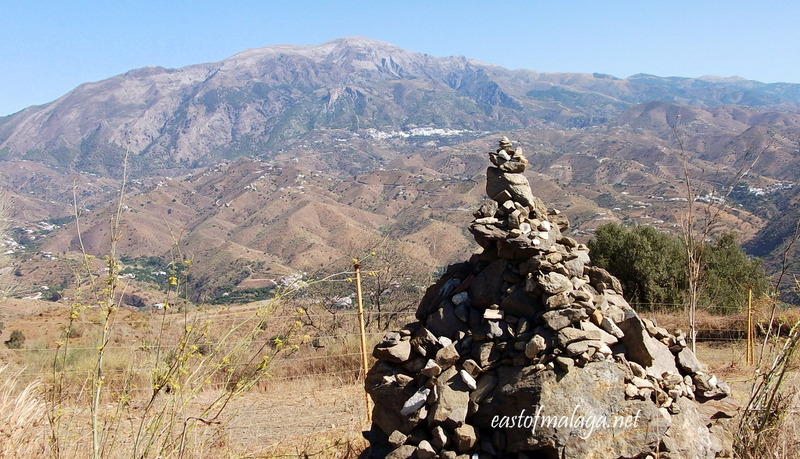 About a forty minute drive east of the city of Málaga along the A7-E15 Autovía del Mediterraneo to km 272, take the exit signposted A 356 towards Vélez-Málaga, Viñuela, Colmenar and Zafarraya. Stay on the A356, bypassing the town of Vélez-Málaga and, after about 7 kilometres, turn left at the junction signed towards El Trapiche. 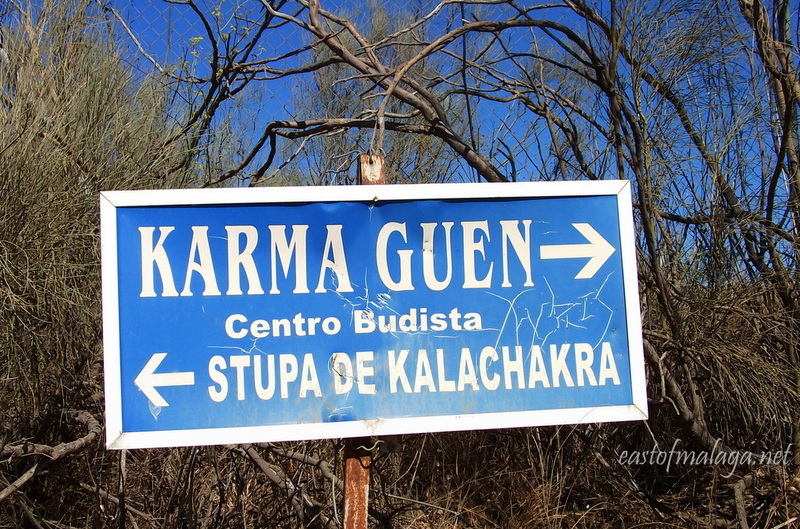 Approximately one kilometre further, (opposite the Jardines del Trapiche) there is a small sign on the right for the Karma Guen Buddhist centre. Take this concrete and tarmac road for two kilometres, and then the unmade track up the hill for another two kilometres. 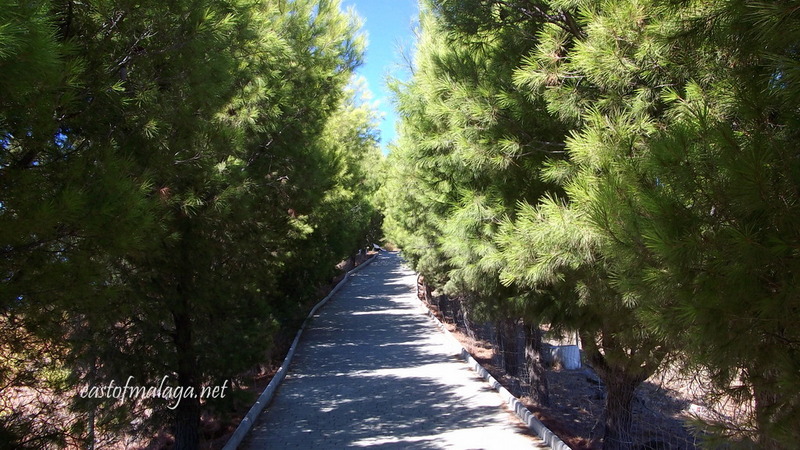 Park and walk through the avenue of pine trees and, all of a sudden, there it is! 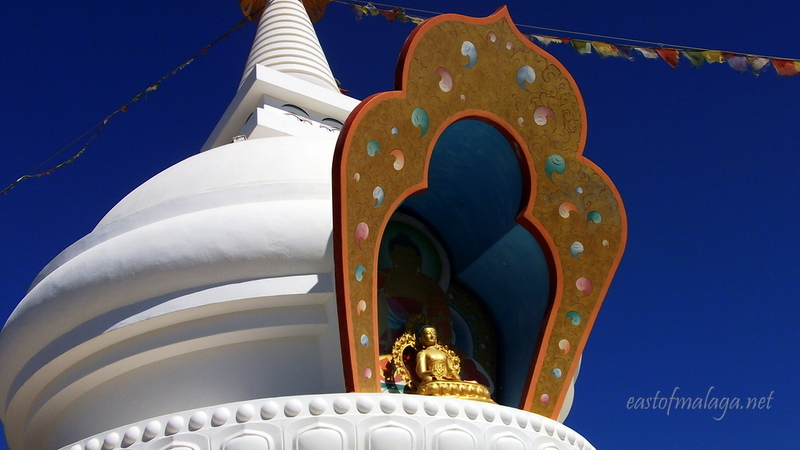 Within Buddhism, the Stupa is a symbol of universal peace and unity. 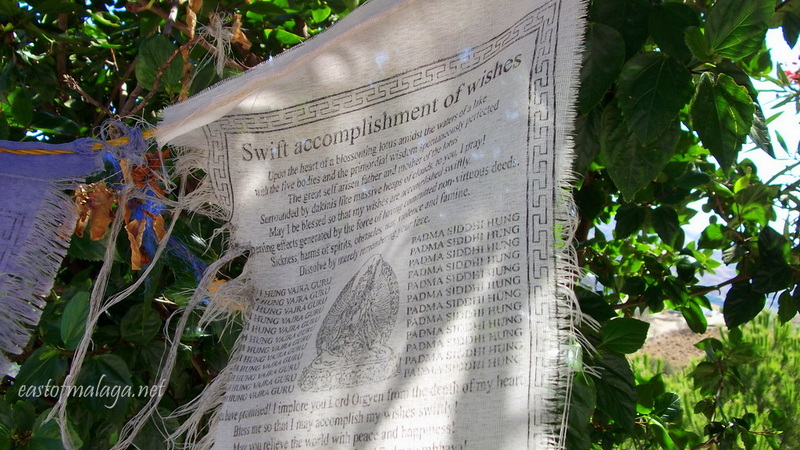 It is claimed that they have protective powers and bring about compassion, love and happiness, as well as social, physical and spiritual well-being. The Kalachakra is the rarest type of stupa. 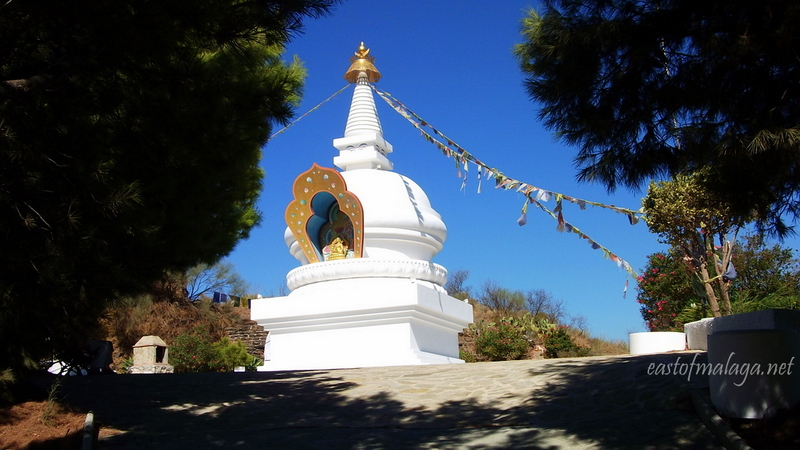 At the present time, there are only five Kalachakra stupas in the world and this one, near to Vélez-Málaga, was the first to be built in the West. It was hoped that building this stupa would help to protect Europe against negative energies. 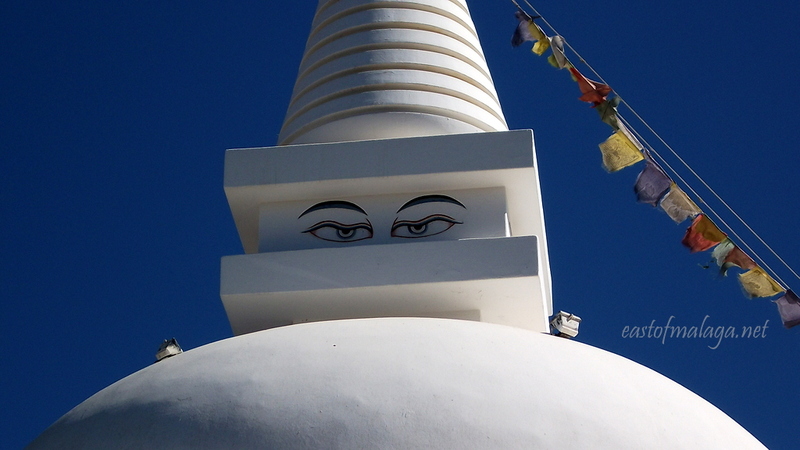 Just like the famous Boudhanath stupa in Kathmandu, this Kalachakra stupa has eyes painted on it, which is a Nepalese custom. The journey to see the Kalachakra stupa at Karma Guen is a relatively easy one (bearing in mind the mountain roads) but the views on arrival both towards the mountains and the sea are magnificent. 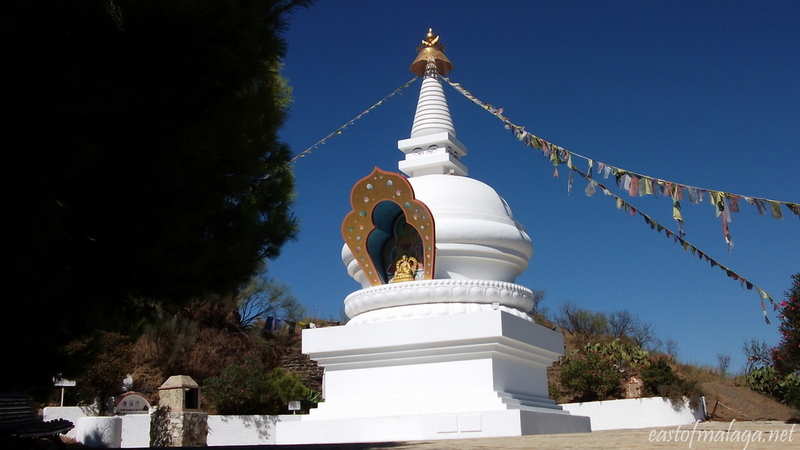 I often take visitors to see the Stupa because it´s an unusual and memorable place to visit. Where do you take your visitors that surprises them? This peaceful post is my contribution to this week´s Travel Theme: White and to celebrate the 30th Anniversary of the UN International Day of Peace.